Enhance your natural beauty and revitalise your skin. 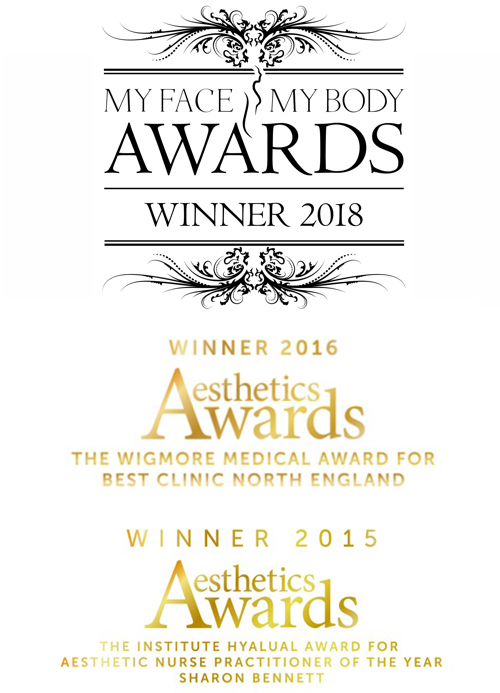 At Harrogate Aesthetics we use the most clinically effective products and medical treatments to nurture and rejuvenate the face and body. We believe in restoring and enriching your natural looks and lifting your confidence. We are a medically led clinic with highly trained staff, and our talented and experienced practitioners tailor every treatment to you as an individual in a safe and clinical environment. We are able to offer a wide variety of bespoke treatments to suit your needs and your budget. You may be looking to minimise the appearance of lines and wrinkles, undo the effects of ageing and environmental decline, refresh tired skin, improve lip shape and facial balance or simply remove unwanted hair. There is something for everyone and if we cannot help you we will refer you to someone who can. We provide treatments for both men and women in our peaceful, relaxing clinic in the centre of Harrogate and we’d love to welcome you. Click here for further information about who we are and what we do.